Social networking sites are used by millions of people around the world and can be an excellent way to publicise fundraising causes. Amazingly, half all charities do not use online fundraising tools and are missing out on this unique opportunity. Social networking sites are massively popular, and sites such as Myspace, Twitter, Bebo and Facebook are used by millions of people every day. Facebook alone has 150 million regular users. For fundraisers this audience should not be taken for granted and social networking sites can be an excellent online publicity tool. Social networking sites can be used to compliment fundraising websites or can be used as a stand alone fundraising location. It may take time to build a following but word of mouth can spread very quickly throughout an online community. Anyone who is considering using social networking sites should research their audience. 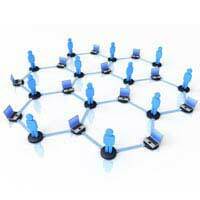 Different networking sites are used by different age groups. Bebo is a social networking site primarily used by teenagers whilst it is estimated that a major percentage of Facebook users are in their mid-thirties. As the social networking sites are free to use it can be a good idea for fundraisers to cover their bases and use more than one. Reports change frequently on which sites are the most popular but there are figures available on the internet on the top 10 most popular social networking sites. Obtaining a following on a social networking site is not always easy. But fundraisers who are adept at telling a story can capture the public’s interest. Writing skills are not crucial but will help to effectively tell the story behind the fundraising cause. Being open and descriptive with details and information on the fundraising cause will be a benefit. Photographs and videos can also be placed on the social networking sites and are often the first thing the public will look at. The public do like to be kept informed of fundraising events as this makes them feel more involved in the cause. Fundraisers should try to update social networking sites on regular basis, daily if possible. When updates occur reminder emails can be sent to followers to jog their memory on the cause. Updates make the online fundraising pages more personal and the updates can be cross promoted over different networking sites. Daily or weekly fundraising donation totals are a simple way to keep followers updated. Social networking sites are one of the least expensive forms of publicity available; they are basically free advertising. But fundraisers should remember to promote their online presence. This can be done by placing the web page link on fundraising newsletters, posters and flyers. Another way to promote the online fundraising page is to exchange links with other online fundraisers. This means that website page names of others are placed on the fundraising page and vice versa. Emails to local schools, charities and businesses are another way to drum up attention and publicise the online fundraising page. Dismissing social networking sites as a fundraising tool is missing an opportunity to capture a huge audience. If word of mouth spreads on a fundraising group it does have the chance to capture an online audience on a global scale. It would be unwise not to use this free tool to spread the word and collect donations. It takes just a few minutes each day to update and keep members interested and involved using this powerful fundraising tool.